Crystal drops and beaded details grace this elegant floral pendant, giving it an almost ethereal, magical look. Two layers in the flower surround the central pearl, with drapes of leaves and crystals. 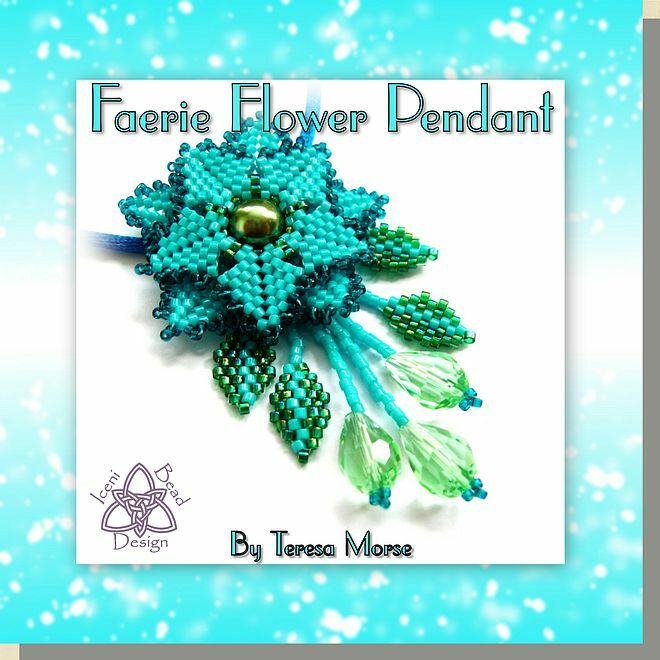 This pattern uses peyote stitch and tubular peyote with clear, detailed diagrams and written step-by-step instructions.